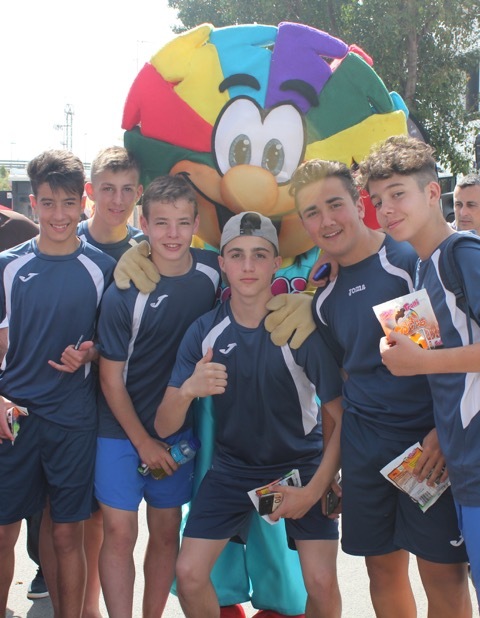 generation adidas international is proud to offer you an amazing cultural and soccer experience in Spain. 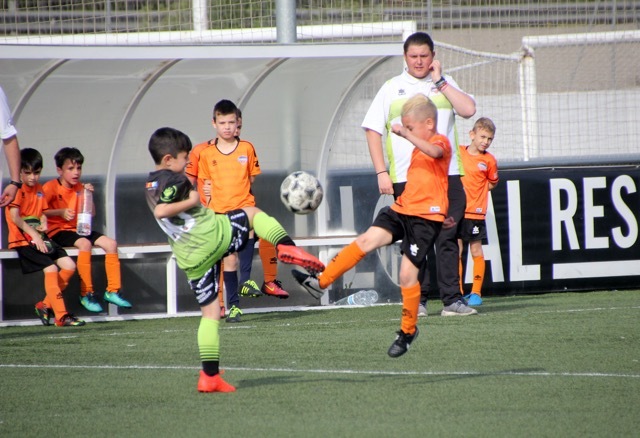 Starting in Madrid, you will spend a few days training and preparing before you travel to Valencia on the Eastern Coast to take part in one of the top Spanish soccer tournaments – THE VALENCIA C.F. SOCCER CUP! 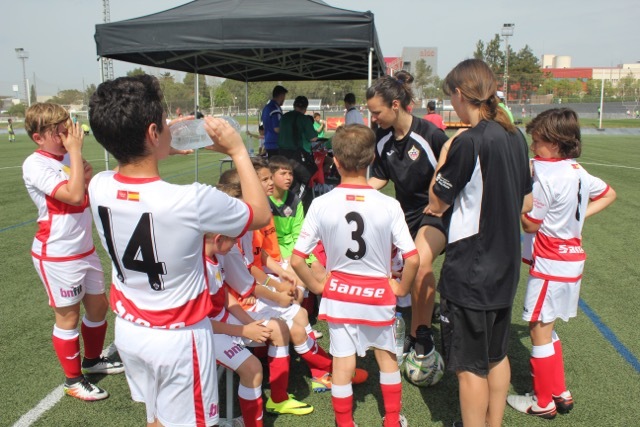 Your stay in Madrid will include training sessions with Real Madrid Foundation coaches and competitive friendly games against local Spanish youth teams. You will visit one of the most impressive stadiums in Europe, the Santiago Bernabeu, as well as its spectacular museum, trophy room, and megastore. You also have the option to stay and train at the City of Football Spanish Soccer Federation, home of the 2010 World Cup champions! (subject to availability at time of booking) Cultural sightseeing in Madrid will be complemented by day trips to the historical UNESCO World Heritage Sites of Toledo and Segovia. In Valencia, you will have the opportunity to combine soccer, culture, and fun in one of Spain’s most spectacular coastal cities – Valencia. Playing in the Valencia C.F. Soccer Cup, your club will compete against top Spanish and international teams. You will also tour the Valencia C.F. stadium and museum. 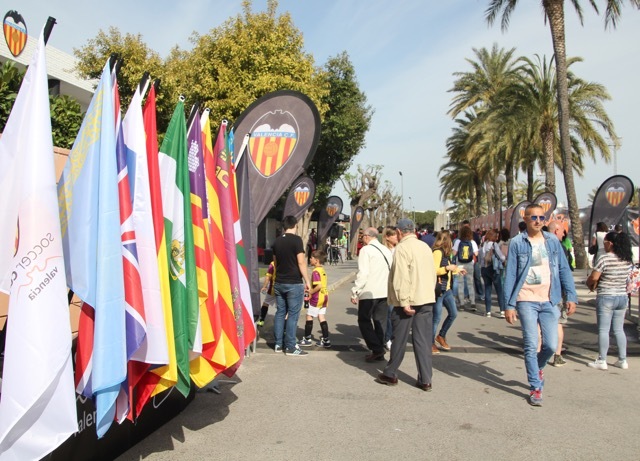 In addition, you will have the opportunity to combine soccer, culture, and fun in one of Spain’s most spectacular coastal cities – Valencia. Valencia C.F. has been best known in recent years for its youth development philosophy and Academy, having produced players like David Silva, Isco, Jordi Alba and Juan Bernat. 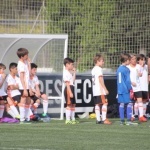 Training with qualified and experienced Valencia C.F. Academy coaches, you will further develop your understanding of Spanish technical and tactical skills. You will train with the same methodologies learned by the greats. 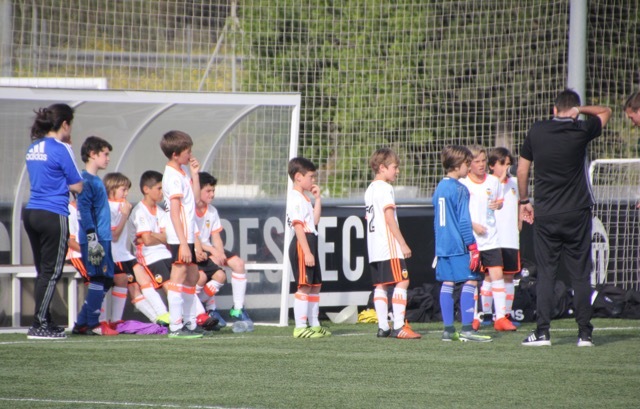 Then, your club will have another opportunity to compete against a top local Spanish team, putting into practice your skills and what you learned with Valencia C.F. Academy coaches. 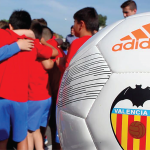 You will also have the opportunity to tour the Valencia C.F. Mestalla Stadium and museum. 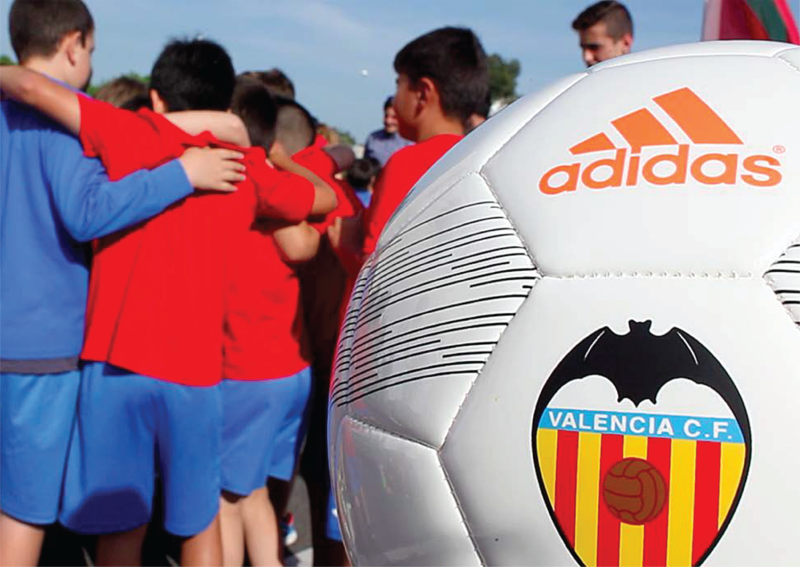 Pair these great soccer experiences with Valencia’s beautiful sunsets and beaches and a traditional paella, and you will have an unforgettable experience! Valencia C.F. has won 6 La Liga titles, 7 Copa del Reys and 1 UEFA Cup in its history. It is the third most supported team in Spain behind Real Madrid C.F. and F.C. Barcelona, placing it among the country’s top three most popular clubs. Valencia C.F., Atlético de Madrid, Villareal, Levante, Real Betis, Sparta de Moscú and Leyton Orient. Arrive at Valencia International Airport in Spain. Check into hotel and free time to rest and relax. *Attend La Liga match (optional and additional cost). Training session #1 with Valencia C.F. Foundation coach. Sightseeing tour of Valencia, including a visit to the *City of Arts and Sciences (entrance fees not included). Training session #2 with Valencia C.F. Foundation coach. Competitive friendly game #1 vs. top level Spanish team. Training session with your own team coaches. Sightseeing visit to L’Albufera, one of the most important natural parks in Valencia. Free time to explore the city of Valencia on your own. Competitive match #2 vs. top quality Spanish team. 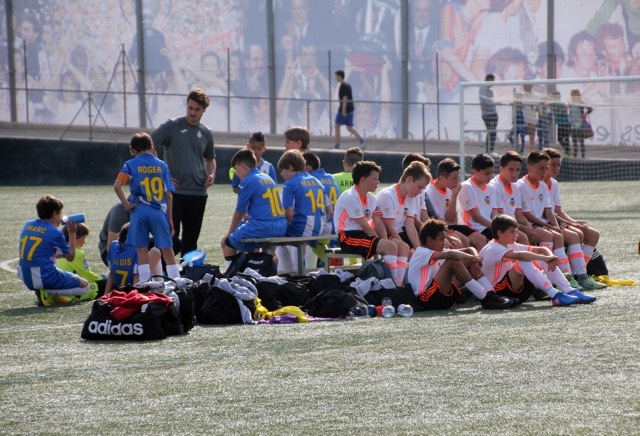 Team and player registration for the Valencia C.F. Soccer Cup. 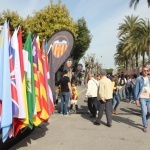 Tour Valencia C.F.’s Mestalla Stadium and Museum. Valencia C.F. Academy workshop (coaches only). 2nd round games and Semifinals. Valencia C.F. Soccer Cup Finals. **Roundtrip airfare is not included, but will be sourced for the group.